How many carless workers are there in Chicago? 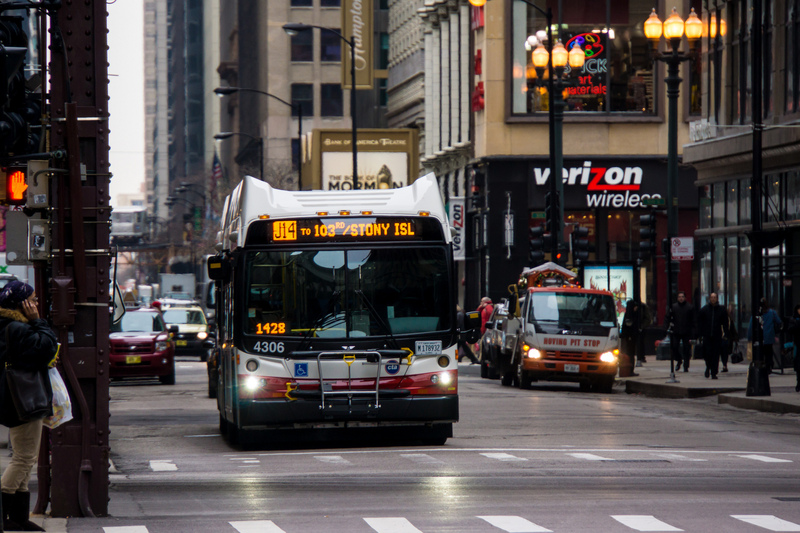 Some CTA riders also don’t have cars to make the switch to driving when gas prices are low. About 16 percent of workers 16 years old and up don’t have access to a car to commute to work, according to U.S. Census Bureau American Community Survey estimates from 2008 and 2012. Tracy showed me the ACS tables where she got that 16% number. But for the purposes of this article, I think they’re a bit (unintentionally) misleading. They tell us that 84% of Chicago workers live in a household with at least one car – but that’s not the same as being able to use a car to commute. So what’s a better estimate of how many workers can actually use a car to commute? To figure that out, I used this Census table, which gives the number of cars in a household by the number of workers. First, in households with only one worker, about a quarter (113,000 out of 456,000) have zero cars. So, altogether, there are at least 113,000 + 155,000 + 55,000 = 323,000 workers who can’t use their own car to drive to work. The Census also tells us that there are about 1,191,000 workers in all. Which means that 323,000 / 1,191,000 = 27% of Chicago workers do not have their own car to drive to work. That’s a good deal more than 16%. Incidentally, this also means that a huge number of Chicago’s workers – roughly 39% – live in a household where, even if they themselves drive, their spouse, or child, or parent, or friend, rely on public transit (or in some cases bikes) to get around the city. And that doesn’t include households where a high school or college student relies on transit to get to class. ¹ There are two carless workers for each zero-car household, and 29,000 * 2 = 58,000. 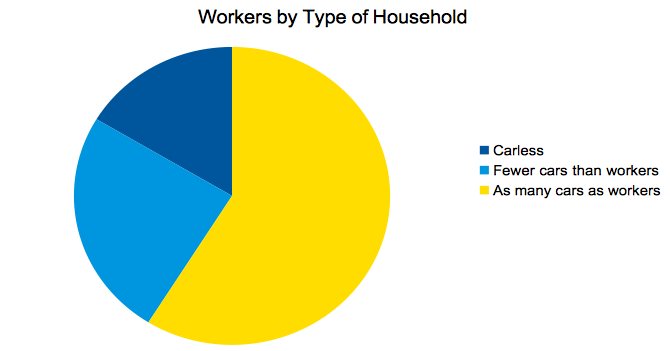 There is one carless worker for each one-car household, so 97,000. And 58,000 + 97,000 = 155,000. ² There are three carless workers for each zero-car household, and 5,000 * 3 = 15,000. There are two carless workers for each one-car household, and 11,000 * 2 = 22,000. 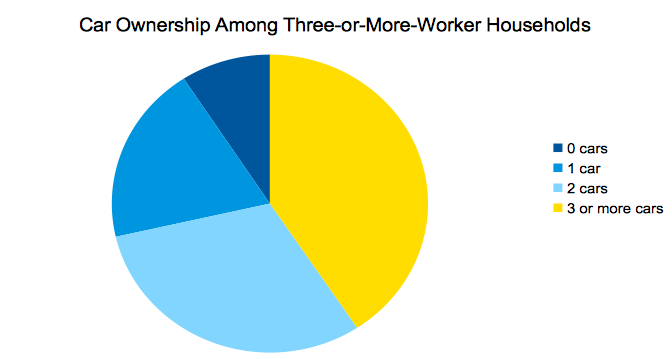 If each two-car household has three workers, then there’s one carless worker for each of those. (If there are more than three workers, then there’s more than one carless worker – but let’s be conservative.) So that’s 18,000. And 15,000 + 22,000 + 18,000 = 55,000. Interesting measure there. I have used census table B08201 to get number of vehicles by household, but this measure (connecting car ownership with those who work) seems more useful. The other one is interesting for showing much carless-ness is limited to single or childless households. I calculated cars per adult for a number of cities, getting a wide range from 289 cars per 1000 adults for New York City to 692 cars per 1000 adults for Pittsburgh. I also found another census table B08141, which has commute mode by number of vehicles in the household. But since it doesn’t separate by household size, I’m not sure what I can do with it. So in all places, quite a few more workers don’t drive to work than don’t have acces to cars — about half of Chicago workers don’t drive to work yet have access to a car. I suspect a higher portion of these are taking rail (or maybe express bus) to a center city commute, where transit may be faster than driving and parking is expensive, so they don’t drive even though they have a car. For these commuters, their commute choice may be rather gas price insensitive as the downsides of driving is from other things than gas. 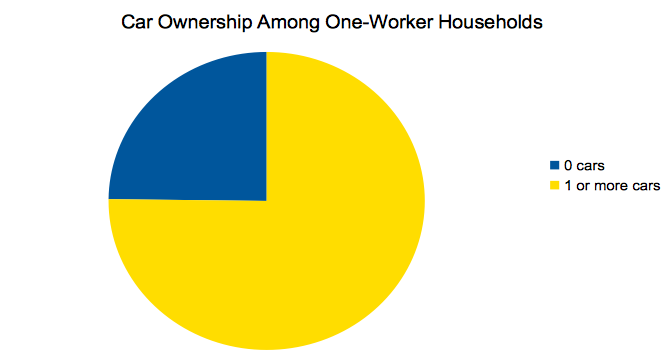 A few more numbers: 26% of one-worker households in Brooklyn had one car, 45% in Queens. 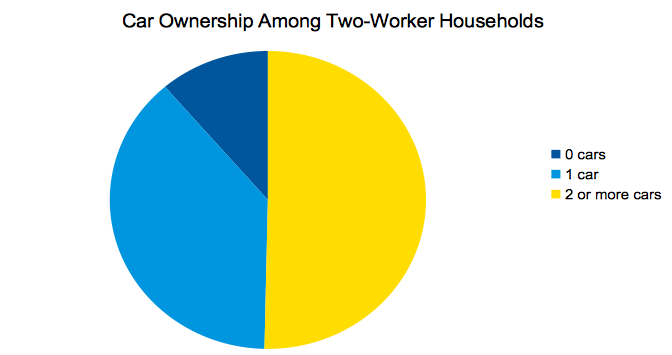 For two worker households, 57% had no cars, 35% had one car and 8% had 2+ cars in Brooklyn; 38% had no cars, 46% had one car and 17% had 2+ cars in Queens. Yeah, that’s a really good point. Tons of people – especially professionals, I think – have cars, maybe even one per adult, but take the train downtown because they don’t want to pay $400 a month for parking. The fact that they can save $10 a week on gas doesn’t really change that equation. But the fact that they still have cars means that there’s an expectation that everywhere outside of downtown will have sufficient parking, which leads to some unfortunate urban design.